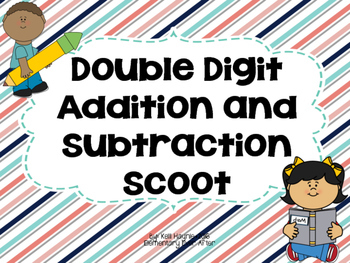 This is fun "scoot" activity to get your students up and moving while they work to solve double digit addition and subtraction equations! 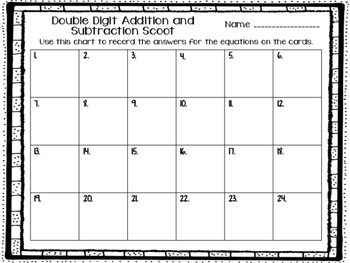 Students locate cards posted around the classroom and fill in their chart by writing the solution to each equation! 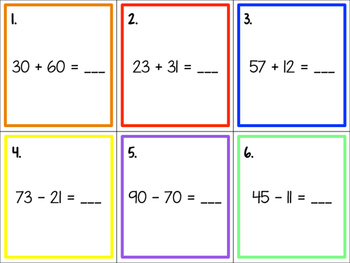 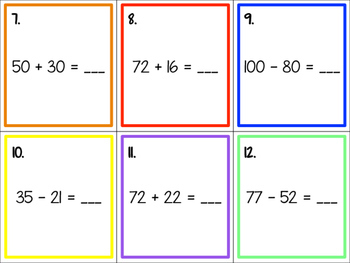 This can also be used as a math station at student desks!